Bandai Namco Entertainment has announced the release of their new 4 vs 4 real time mobile battle game, One Piece Bounty Rush, on Google Play and the App Store. Based on the iconic anime series, One Piece Bounty Rush will have players assembling crews and taking on opponents. 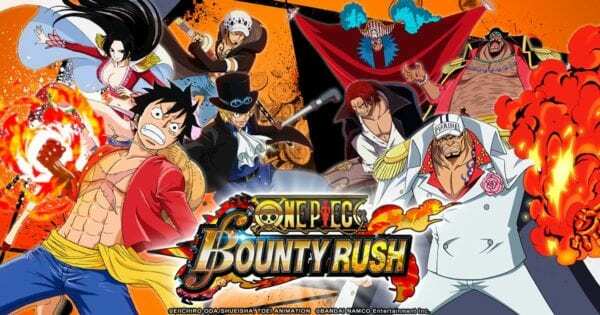 One Piece Bounty Rush will take players to the seas of the beloved One Piece universe where they can assemble teams of four pirates from a roster of over 40 fan favourite characters from the anime series, including Luffy, Nami, Zoro, Sanji, Chopper, Usopp, Arlong, Buggy, Crocodile and Luffy’s inspiration Red Haired Shanks. As part of a special in-game giveaway, Bandai Namco will reward players with Sanji. Pirate captains will take their 4 man crews into real time 4 vs 4 battles where they will have to defeat their opponent and collect as many Berries as they can. There are several stages to fight through based on locations from the anime series. These locations are the Baratie (Sanji’s previous home), Arabasta and Arlong Park. One Piece Bounty Rush is available to download now for free on Google Play and the App Store. Let us know what you think of the game in the comments below or give us a shout on Twitter @FMyth_Gaming.